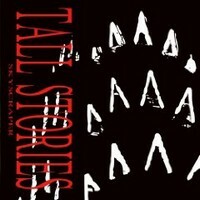 Long time melodic metal and hard rock fans will remember Tall Stories from their self-titled debut in 1991. But before they got the follow-up out Steve Augeri joined Tyketto and later he replaced Steve Perry and was for many years the frontman of Journey. So the voice of Tall Stories many will know and so they might get more attention these days. They open up with the upbeat rocker Tomorrow, a good opener with a catchy hook. Clementine kicks off with acoustic guitar, but soon they go full force. The song carries the authentic early 90's melodic rock feeling. It somehow reminds me of the stuff he did with Tyketto... More 70's rock is Original Sin.... Somehow sounding strange, but with touching vocals. More my cup of tea is the beautiful balladesque tune All Of The World. Beside the vocals it's mainly the guitar work which sticks out - a short lead part echoes the vocal line. Quite cool! The following Pictures Of Summer is an upbeat acoustic ballad, later the others join in, it stays balladesque - even if it becomes a semi-acoustic track. A powerful, highly melodic song focusing on Augeri's vocals. Very heavy they sound at River Rise with heavy, sharp staccato riffing and partly distorted vocals. More metal then any other song, but still with a cool hookline. But they also offer songs which are influenced by other genres... No Justice is like a blend of Led Zeppelin and U2... But there is something else in the mix, but I can't fathom it.. Based on a bass riff is Eternal Light, another rocker with a heavy groove and emotional vocals. One of my favorites it the heavy Stay which is crossing the borders to metal with hard riffs, but also has a bluesy touch - guitar solo and vocals. After that powerful tune the country rock song with a dash of gospel sounds even more intense. You Shall Be Free is reduced to acoustic guitar and vocals for awhile. This one shows the band in a different light. Only the organ towards the end doesn't fit to the song in my opinion... But I think it's a matter of taste... Very bluesy it the last tune which is called Superman. The new Tall Stories' album offers a lot different sounds, they include blues, country and gospel in their hard rock universe. No doubt Steve Augeri is a great singer and the songs are all on a high level, but due to the different sounds I miss a bit the homogeneity... But again this is a matter of taste. Check out Skyscraper, if you like hard rock spiced up with different sounds.